The Salzburger Schlosskonzerte are with over 230 concerts a year, held in Salzburg's most beautiful concert hall, the Marble Hall in Mirabell Palace, one of the largest concert series. World-famous soloists and ensembles perform the most beautiful works of Mozart, his contemporaries. Listening to one of our Salzburger Schlosskonzerte you will leave your everyday worries behind and enjoy the only universal language – Music! The Marble Hall, formerly the prince-archbishops' ballroom and concert venue for Leopold Mozart and his children Wolfgang and Nannerl, is considered to be one of the "most beautiful wedding halls in the world." 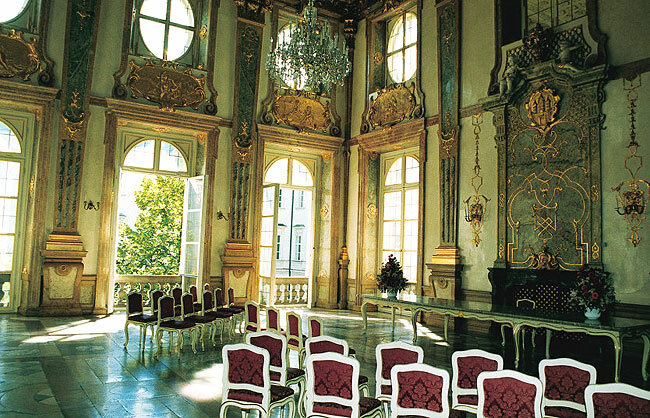 Meetings, awards ceremonies and romantic concerts (Salzburg Palace Concerts) are held here regularly.